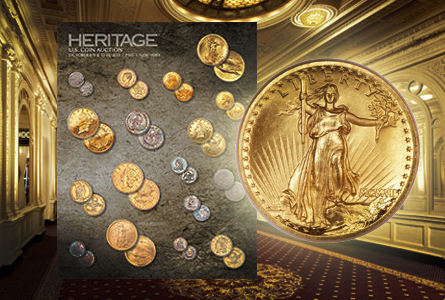 Two rarities from the fabled Carson City Mint highlight the offerings at Heritage’s Oct. 8 – 13 US Coins Signature Auction, held in conjunction with the PNG New York City show, which runs Oct. 9-11, 2014. 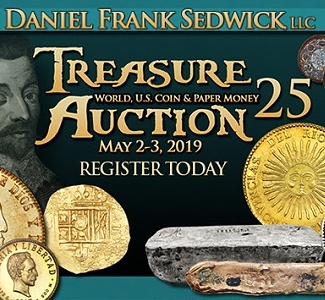 The event will take place at the Millennium Broadway Hotel, conveniently located in the heart of New York City, half a block from Times Square. 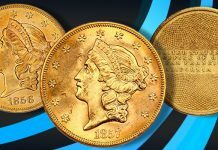 While the 1876-CC dime is quite common in most grades, specimen strikings bearing this date and mintmark are extremely rare. 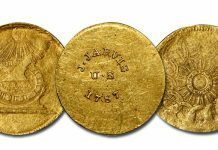 Estimates of this coin’s survival range to no more than seven coins, with three distinct examples confirmed. 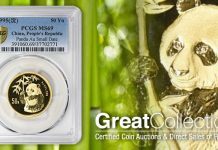 The New York PNG auction features one such piece graded Specimen-65 by NGC. 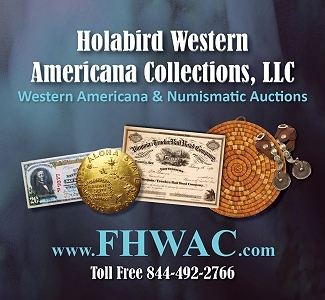 While the reasons for this coin’s existence are unknown, its profound rarity and special status are unquestioned. 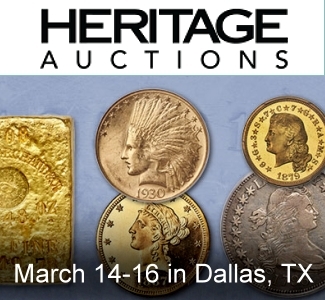 The 1796 quarter offerings in this auction deserve special mention. 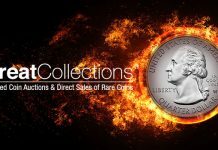 These quarters are well known to numismatists as a rare one year type and ownership of a coin in any grade is a numismatic accomplishment. 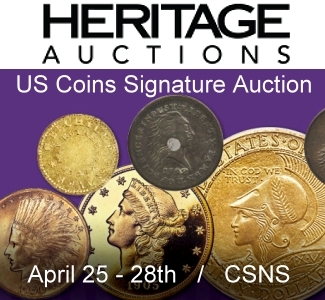 With three such coins offered in the auction – lot 4713, graded MS64 PCGS; lot 4712, graded MS63 PCGS and lot 4711, graded Fine 12 PCGS – with the two Mint State coins come from The Pannonia Collection, Part Two. 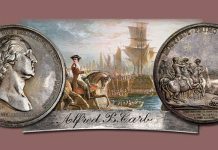 Type collectors looking to complete their sets will want to pay close attention to these offerings. 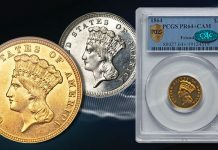 1831 10C PR66 Cameo PCGS CAC, possibly unique as a Proof. 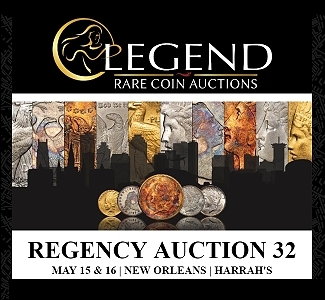 1858 $3 PR65 PCGS. CAC. Ex: Trompeter, finest certified at PCGS. 1879 $4 Flowing Hair, Judd-1635 PR64 PCGS CAC. 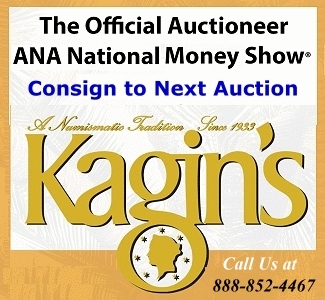 1796/5 $5 Small Eagle AU55 NGC. 1830 $5 Large D AU58 NGC. 1867 $10 PR64 Cameo NGC CAC. 1872 $20 PR64 PCGS CAC. 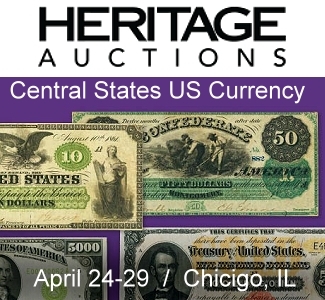 1907 $20 High Relief PR67 http://coins.ha.com/common/images/star.gifNGC. 1921 $20 MS61 PCGS Secure.